Tags: Antique Print, Asia, Birma, Myanmar. Antique Print of Birman Soldiers. 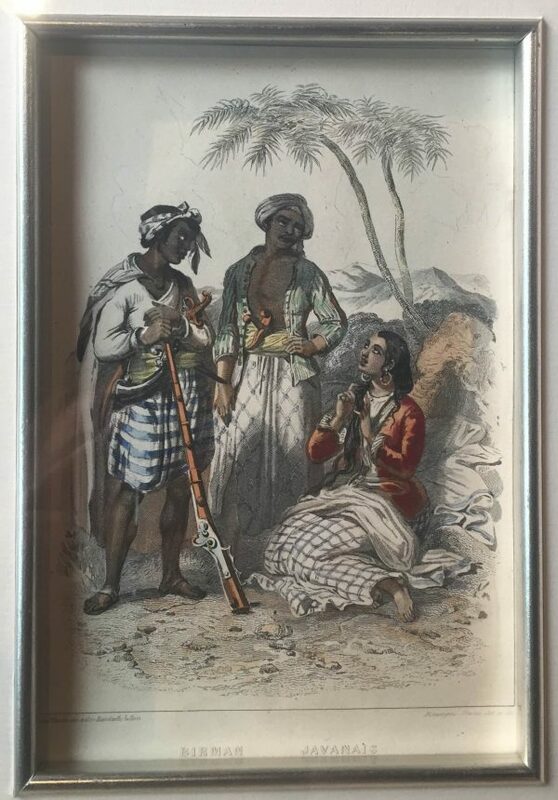 A late 18th century French engraved print in original hand-colour of two Birman soldiers and a Javanese lady; her escorts or her captors? The print is drawn and engraved by Rouaegue Freres and published by Chardon aine et fils of Hautefeuille, Paris. Very good condition, measures 12.1 x 16.9 cm.